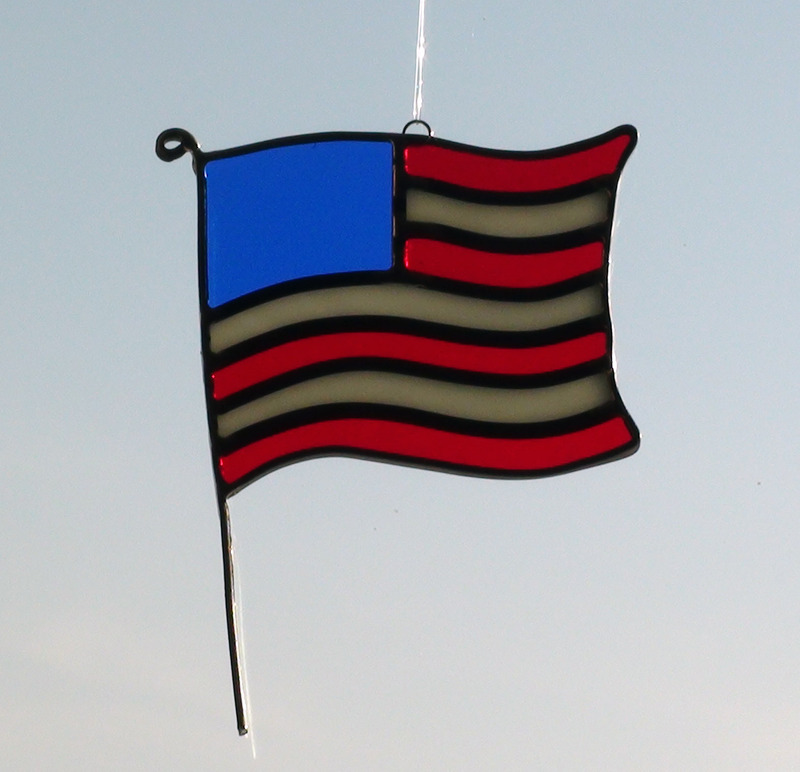 SMALL USA FLAG Suncatcher - A red, white and blue leaded stained glass American flag. It makes a great patriotic decoration and can be displayed all year long. As a nature enthusiast, much of my work is realistic. 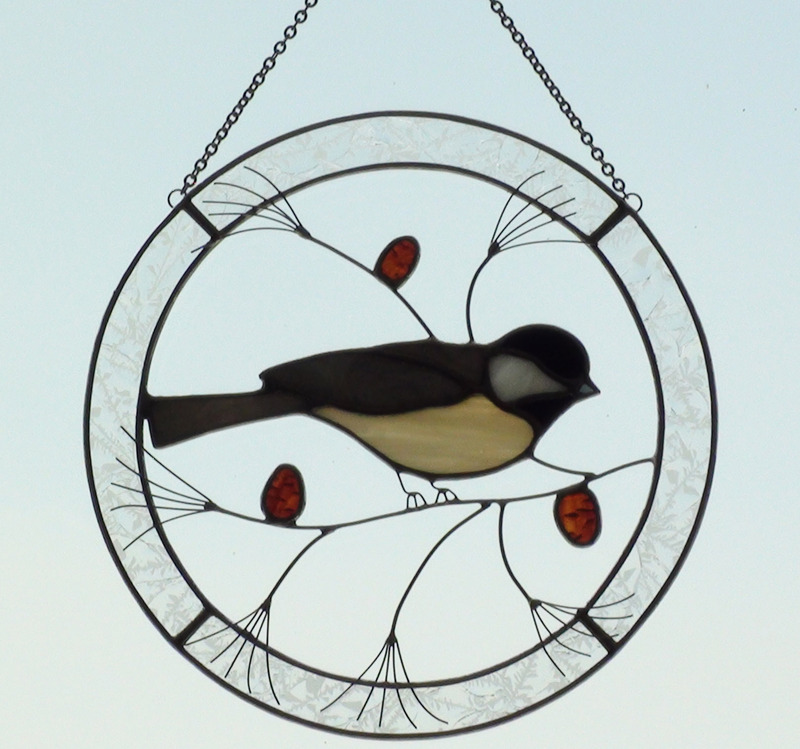 Even though my passion is birds, I do love the challenge of designing anything that is requested. I have designed pieces in the Frank Lloyd Wright Prairie Style, geometric style and combined styles of art.